These are the kind of unpredictable spring days when meals are often called upon to satisfy diverse conditions. We want to eat something comforting and warming enough for unpredictable showery blustery weather, but fresh and sprightly enough for those evenings where it’s impossible to remember that only last week you wore a hat and scarf to work. A lovely tomato sauce is one such a treat. 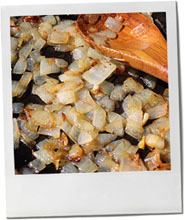 And it’s a recipe worth spending some time with because it’s an incredibly versatile cooking tool. 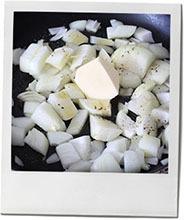 The idea behind the recipe section of this blog was to show that once a basic technique has been mastered, and you’re confident about it, you can switch up just one or two ingredients and turn it into countless different dinners. So it is with a tomato sauce. It’s marinara, it’s ala vodka, it’s puttanesca, it’s bisque, it’s lasagna, it’s parmigiana, it’s basic curry, it’s soup, it’s stew – more succinctly; it’s a seriously useful recipe to have in your repertoire. 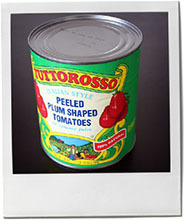 1 large can or 2 normal sized cans of tomatoes – I use whole plum tomatoes and chop them in the can by wiggling my knife around. My brother-in-law once worked at a tinning factory and tells me that the tomatoes that weren’t good enough to be canned whole went into the chopped and crushed tins, so I’ve fastidiously avoided them since. Once the pasta is cooked drain it, but not too well (a bit of water helps the consistency of the sauce), and add the pasta to the sauce to continue to cook for about 1 minute. 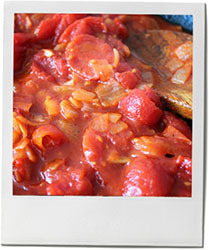 This entry was posted in The Monday Treat and tagged parmesan, pasta, sauce, spaghetti, tomato, vegetarian. Bookmark the permalink. Love, love, love. I just made a big vat of sauce this weekend. And it’s so true – it can be so many things. I used it on lasanga, and saved some for pasta. I added Red pepper flakes this time to give it some extra kick. If I use whole tomatoes, if I want it smoother instead of chopping, I use the immersion blender right in the sauce! It works well. Yum, yum, yum! Great minds clearly thought alike this weekend! There are going to be ideas for how to use the sauce every day this week. Hope you’re having a happy Monday in spite of the disheartening snow shower this morning!